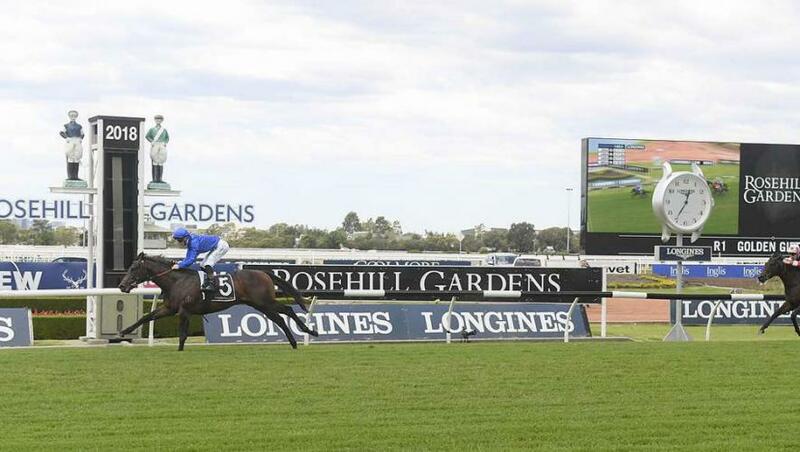 The world’s richest juvenile race is looming large on the agenda for the Godolphin colt Tassort following his brilliant debut win in the Golden Gift at Rosehill Gardens, Australia on Saturday, 24 November. Tassort became the first winner for his sire Brazen Beau for whom he is only the fourth foal to race. He is also a half-brother to the G1 winners Astern and Alizee. Without directly naming the G1 Golden Slipper Stakes as his aim with Tassort, trainer James Cummings immediately declared him the horse against which the stable’s two-year-olds will be measured. "He will be the benchmark for the stable's other young performers," Cummings said. It is a long way from Saturday’s ungraded win against only three opponents, to the Golden Slipper, but Tassort’s breathtaking 5-1/4 length win could not be denied. "He has been such a relaxed customer up until the point when some pressure started being put on a month ago," his trainer said. "It is no doubt this race had a lot of build-up and he did well to pull away." As well as his undoubted ability, Tassort has a pedigree rich in Godolphin and Darley excellence. His granddam Alizes was a dual Stakes winner and his dam Essaouira, a daughter of Exceed And Excel, showed tremendous ability in her short career before going on to produce Astern (Medaglia d’Oro) and Alizee (Sepoy) as well as the winners Mogador and Marrakesh. Tassort’s sire Brazen Beau was the champion sprinter of his generation in Australia winning two G1 races and also finishing second in the G1 Diamond Jubilee Stakes at Royal Ascot. The colt was one of three ungraded winners for Godolphin at Rosehill where Demerara took out the Summer Hospitality Handicap and Organza the Benchmark 78 Handicap, while in Victoria, Haunted won the Haymarket Ballarat Handicap.